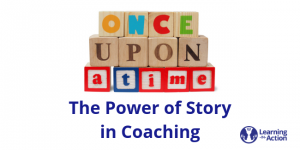 In this blog, I share with you some of what I’m coming to believe about the role of my coachees’ stories in our coaching. I’m no authority, and though I’m in the Narrative Coaching certification program, I’m a novice. So what I share here is what I’m coming to believe and integrate into my own work. And I offer it as an invitation for you to consider what’s possible and what might be available if you were to look at your own coachees’ stories in a new light. At the time, bottom lining made sense to me. 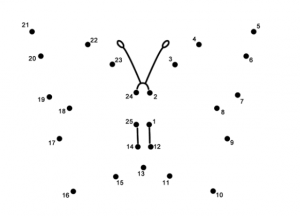 We coaches didn’t need all that detail. After all, we only have so much time. And long stories can take up a lot of it. We needed to achieve the coachee’s stated desired outcome by the end of the session to be successful. Right? So, helping the coachee “get to the point” in any way we could, was in the service of the coachee, in the service of the coaching. But what if the story WAS the point? In 2013, I organized a TEDx conference. In the formative stages of conference planning, I was struggling to articulate a theme that conveyed the message I hoped for the conference to share. I wanted it to be about reaching our full human potential and becoming fully expressed. But it all sounded so “woowoo” and trite. So what does the Hero’s Journey have to do with coaching? I’ve come to believe that The Hero’s Journey reflects the life journey we all are on. We are on the transformational journey of becoming – becoming a full expression of ourself, our potential. And the integrational story of our return to our core essence – of overcoming our patterns of adaptation (like those captured in the EQ Profile). A journey of discovery of self and a returning home to self. A journey of transformation. If the findings of Joseph Campbell, based upon his extensive research into the world’s legends, myths and folklore, are true, (and I believe they are), then perhaps our stories are more than just stories. Perhaps our stories are a vehicle to our transformation. My coachees show up telling stories in our coaching sessions. I don’t ask them to bring their stories, they just do. I used to ask them to bottom line it or I’d get frustrated because their stories were getting in the way of the goals they said they wanted to achieve. Recently, I’ve begun to believe that my coachees’ stories are their conscious and/or unconscious way of revealing their true desires. Also, I’ve noticed how frequently my coachees show up with stories that possess all of the pieces of the solution they are seeking. And when I listen long enough and closely enough to their stories, and simply mirror back what they are saying, they often experience a kind of “Eureka” moment. They see how the dots of their stories connect to form the picture they were searching for. So, if storytelling itself is a process of becoming, of self expression, of return to core essence, and if coachees naturally show up to coaching with stories that possess the seeds of their solutions, perhaps our role (or one of them) as coaches is to facilitate the organic transformation and integration that has already begun in the form of the story. To assist the story in doing its work. Within the story itself and within the coachee’s experience of telling the story are the clues to what the story is wanting to do. And by attending to the experience of the coachee as they are telling the story, and to the characters, metaphors, and language in the story, and to each stage of the journey of the story, we can guide the coachee to the resolution their story is seeking. Noticing and exploring the coachee’s experience as they are telling the story can sometimes reveal more than any questions we might ask. We are all taught this in coaching school and it’s easy to forget – how much a sigh, a change in posture, a glistening in the eye can clue us to shifts in the coachee’s internal experience. Our coachees’ stories provide a rich cache of resources to help them “slay their dragons.” The characters in the stories have wisdom and perspective for them. The metaphors in their stories suggest the tools that will help them navigate challenging terrain. The language they use reveals the lens through which they are seeing their challenge/opportunity. Playing with characters, metaphors and language can be really fun and invigorating for both coach and coachee. And these approaches to coaching are simple to apply and can create surprisingly fast and robust outcomes. Here are links for examples for playing with characters, metaphors and language. Just like in the Hero’s Journey, our coachees’ stories have stages. And helping our coachee experience and identify each state in the journey provides its own form of wayfinding for the coachee. Note: These questions are taken from Dr. David Drake’s Narrative Coaching. When we as coaches are curious about these questions, we will allow for deeper and deeper levels of awareness of the unconscious role of the story for the coachee. I hope you try out some of these techniques with your coachees. Our coaching can sometimes be so linear and/or so cerebral that it can be fun and healthy and energizing to try something new and see what happens. Sure, it takes courage. But hey, you’re a coach. We already know you have courage! What are your thoughts and experiences in trying these techniques? I’d love to know! Be one of the first seven people to comment on this blog and we’ll send you a DVD of the Finding Joe film. P.P.S. Want to learn more about what the languaging used in your coachees’ stories can tell you? 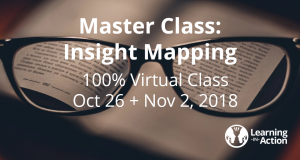 Join our virtual video course, Insight Mapping – or get the unedited recordings of the course afterward! Click here for details and to register. I have thoroughly enjoyed reading your reflections on your experience in the narrative coaching program. I was grateful for your tribute to “Joe.” It was a treat to meet you in the recent retreat in Boston as well.